Welcome to Nifty Thrifty Tuesday. With spring here, seems like everyone is busy fussing up the outside of their homes. Don't know about you, but all I have done so far is, I power washed my patio last week. Guess, I better get busy and get some more projects done outside. I am loving all the inspiration that I am seeing here at my party. Here are a few features that I chose from last weeks party. If you were featured, feel free to grab my "featured" button (you can find it under my header). Please mingle with your neighbors, and get inspired too. 1. Please have a separate link to this party in your post (not a mass link page) or add my party button (you can find it under my header) to the post. If there is not a separate link you will not be featured and/or could be deleted. I am hopefully bringing you traffic and I would appreciate the same. Oh my goodness, Linda! 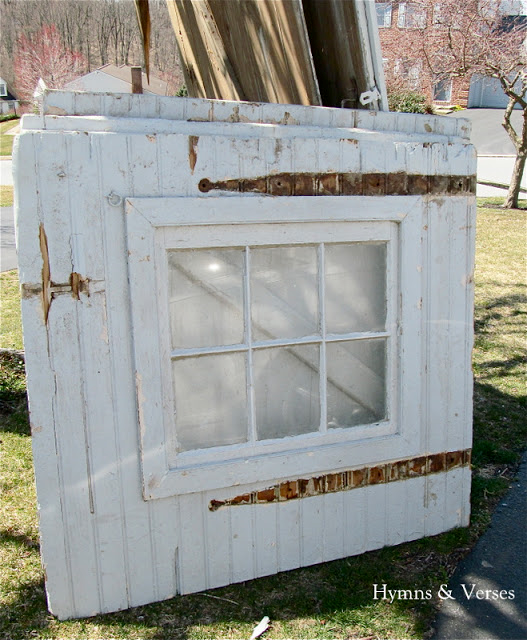 Thanks so much for featuring my barn door finds! I was just over at facebook and ran right over to see if I was featured! Makes my day! Thanks, as always, for hosting! The features are so nice. Thank you for hosting and wishing you a very blessed week. Hi Linda, thanks for hosting. Love the features, especially table with great rusty pieces of metal. Have a great week. Thanks for hosting Linda, love joining in. Love the features. Have a great week. Hi Linda, I worked outside all weekend and I'm pooped! just linked up, thanks for having us! Thanks for hosting Linda, always look forward to joining in. Great features this week. Seems this year I'm also in the "nestsing" mode! LOVE the rusty hardware (I have drawers full just waiting to get repurposed), LOVE the chipping door and window and my latest obsessions are wooden tool totes!!!! Have a fab week! Thank you for hosting! 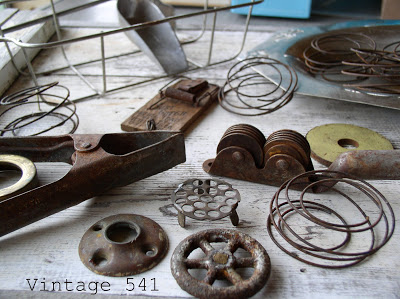 Thanks for featuring my Rusty Finds post Linda...I'm working on a follow up post showing some of my uses for all that junk! Have a great day and thanks for following my blog! Love the Features...thank you for hosting! I love those wood crates. Thanks for hosting, Linda! Fab features, Linda! Thanks for hosting your party today! That's some great features~will have to check them all out later this evening. Thanks so much for hosting and have a great week! I'm intrigued by some of the features. I missed a couple of those. Thanks for hosting and making for fun party-going! Thanks for the fab party! Have a great week! Linda, Thanks for hosting and I hope you have a great week. 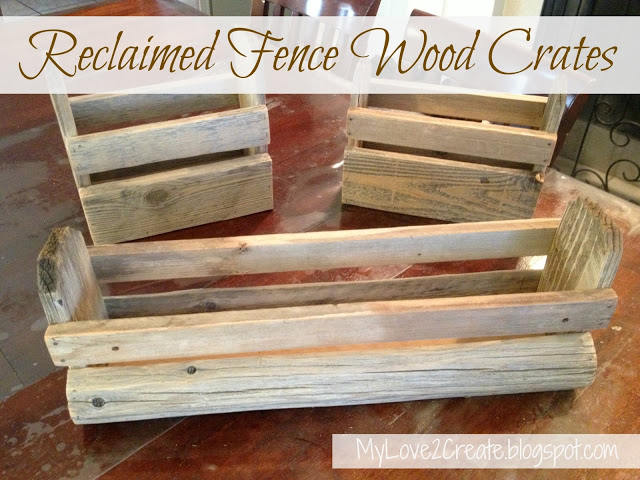 Linda thank you so so much for featuring my reclaimed fence wood crates! It is always such a pleasure to party here! Have a wonderful day! Thank you for hosting....great inspiration here! Beautiful features Linda! Thanks so much for hosting! Hi Linda, I just wanted to mention how much I enjoyed your question about blog comments. I found the discussion so interesting (and informative). I hope you know how appreciated you are, for your time and effort here, this is always such a lovely blog to visit and link up to. Hope your Monday is going well-joining your wonderful Party! Linda, these are wonderful features! Thanks so much for hosting! Glad to link up! Thanks for stopping by and visiting .. I just started following your blog and joined in on the linky party .. I also added a link back to you on my post and added a linked button to you on my sidebar .. Thanks for a fun linky party..
Linda, thanks for featuring my chalkboard! I'm tickled! I'm boasting your button and have linked up again! Thanks for the opportunity! 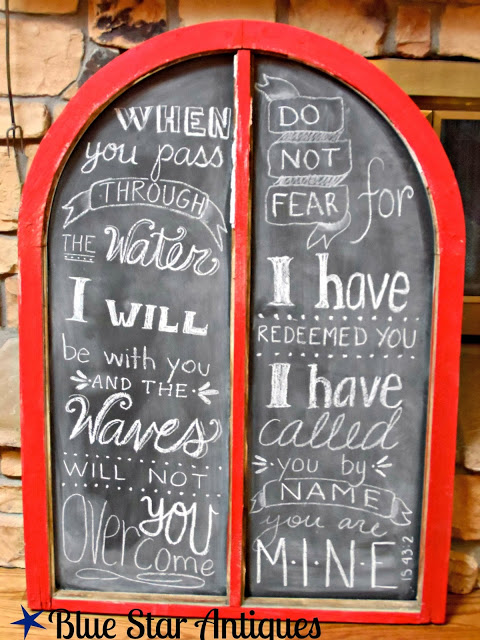 Cyndi's chalkboard is awesome, but so are all the other features you chose! Thanks for hosting the party again this week! Thanks for hosting and for featuring some fun posts. Thank you for hosting, Linda! Have a good week. Hi Linda, Lots of fabulousness here again! Thanks so much for hosting, I just linked up my funky little vintage desk no. 174! Hi, Linda! So very glad to join you this week! Thanks so much! Thanks for hosting Linda! Great features! 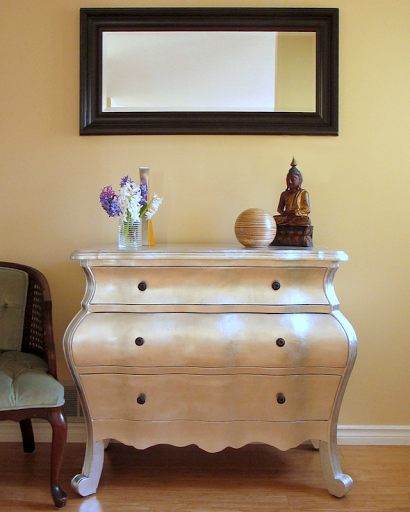 Hi Linda, thanks for the opportunity to show my silver leaf dresser on your party! You made my day :)! There are some great features here and I will have to check them all! What beautiful features! Thank you for hosting, I always enjoy visiting your blog and parties! Oh I can't wait to get lost here for a while!! So much inspiration. Thanks so much for hosting. I may need to link up. Have a wonderful week! We followed your blog. Please come follow us back. Loving your party! Thanks for hosting!! Hi Linda. Better late than never! What a huge party! Thanks for hosting. We appreciate all the work you do so we can show off! Love all the featured blogs this week. Now I am off to visit and look around.